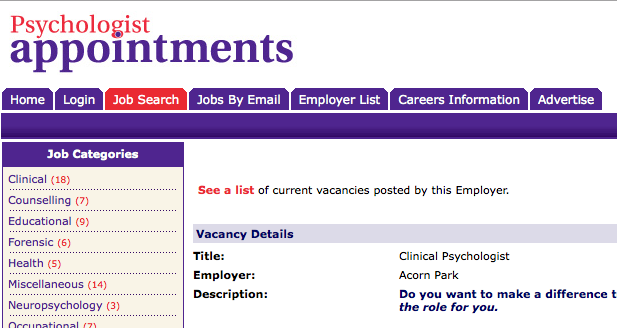 Clinical Psychologist at Acorn Park School. To give some context, Acorn Park is a specialist independent school and care home focused on delivering education and caring for 6- to 19-year-olds with autism and related difficulties. Acorn Park offers day, 38-week and 52-week placements for children in the homes and an adult services provision. Read more about the school’s ethos, culture and way of working. Find out more about the job on our Psychologist Appointments website.